Chances are, if you are – or have been – a WLTSC member during the last three decades, that at some stage you will have bumped into Chris Harper. You might have been buying something from the shop, had a query for reception, or perhaps been on the opposite side of a tennis court or alongside Chris in a fitness class. A warm smile and friendly welcome is always guaranteed, and that smile was certainly to the fore at the recent AGM when Chairman John Hollingsworth announced that Chris was to receive an honorary life membership of the club. Certainly a very popular decision, and one which Chris admits left her both ‘touched’ and ‘humbled’. “It is difficult to find the right words to describe what my feelings were when it was announced and John made a lovely speech,” says Chris. “But I was touched and very humbled that people think so much of me. 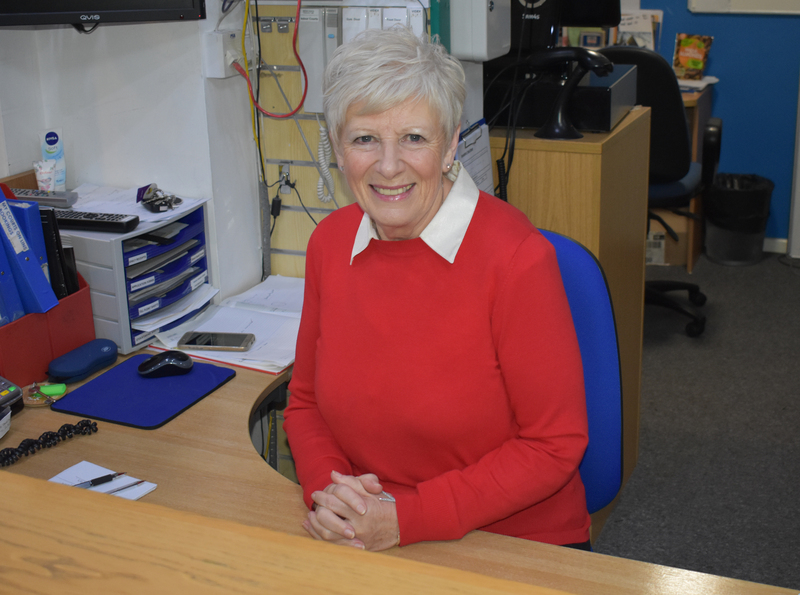 Chris has been working at WLTSC for 32 years since initially arriving when Liz Brown ran the shop, and her hours increased just over a decade ago when being made redundant in her main occupation working at Beatties. “Back when I first started the shop and reception was very much the ‘hub’ of the club,” she adds. “It was in the days before mobile phones, so if anyone was going to be late or needed to get a message through they would phone the shop and then we would run to the tennis or squash courts to pass it on! “I have always really enjoyed working here and getting to know so many people. “People will either come into the shop for something or just wave or say hello as they go past and there are so many characters here I could probably write a book! “I have always played tennis here, I am just coming back from injury at the moment and looking to get back to Rusty Rackets, but not really squash. “I went on a squash court a few years ago and was full of hysterics because I couldn’t see the ball let alone hit it! Above all else Chris is just grateful and appreciative not just of the gift of honorary membership but the friendships and camaraderie she has enjoyed at WLTSC for such a long time. “This club has been, and remains, a really big part of my life,” she explains. “I know so many people here and they are like my family. “I have seen a lot of people grow up and now they are bringing their children which is a bit frightening! “My husband also passed away when I was working here, and the club, and the members, were what got me through.